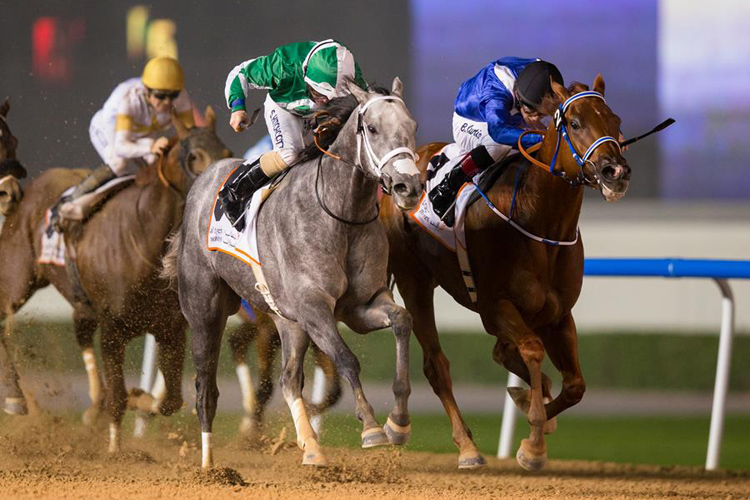 DUBAI (January 30, 2019)—Thursday’s fifth meeting of the 2019 Dubai World Cup Carnival is another quality affair, officially highlighted by the Group 3 $200,000 Al Shindagha Sprint (Race 4). 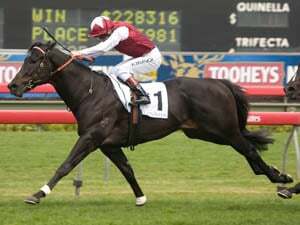 However also including the first classic of the campaign, the Listed $250,000 UAE 1000 Guineas (Race 2). In addition, the Group 1 $75,000 Al Maktoum Challenge R2 (Race 1) for Purebred Arabians, $100,000 Meydan Classic Trial (Race 3) for grass 3-year-olds and a trio of handicaps add depth to the evening, which is sponsored by DP World and has a first race post time of 6:30 p.m.
A select field of just six have been declared for the evening’s official feature and a prep for the $2.5 million Dubai Golden Shaheen (G1), the Al Shindagha Sprint sponsored by Jebel Ali Port (G3), which promises to be fast and furious one with last year’s winner My Catch seeking to become the first dual winner of the 1200m dirt dash. Trained by Doug Watson, the 8-year-old son of Camacho was never headed on that occasion and attempted similar tactics on his lone outing this season, when third in the Dubawi Stakes (G3) over this trip. Sam Hitchcott picks up the ride, while Watson’s main rider, Pat Dobbs, switches to late-running grey Drafted, winner of December’s Garhoud Sprint (Listed) and a progressive type. Second last out in the Dubawi, Drafted appears to be at a tactical advantage on Thursday, with at least three of his rivals expected to vie for the early pace. A relentless closer, he has three victories over this dirt course and appears to be in top form for a barn that has won the last two editions of this race. Ryan Moore returns to the UAE and has two rides, including Switzerland, who has a penalty in this because of a Grade 3 victory in the fall. Trained by Steve Asmussen, who saddled Curlin to win the 2008 Dubai World Cup and Gun Runner to be second in the same race in 2017, he is owned by Sheikh Rashid bin Humaid Al Nuaimi, who has enjoyed big race Meydan victories with the likes of Second Summer, Kimbear and Rayya. A dual Grade 3 winner in the U.S., Asmussen’s charge, a 5-year-old well-made horse by Speightstown, is a fascinating contender who cost $500,000 at auction and will be Asmussen’s second starter at the Carnival, following the off-the-board finish of Tone Broke in last week’s Al Bastakiya Trial. Tato Key, having his first start for David Marnane, is an equally as intriguing contender. A 4-year-old colt by Key Deputy, he arrives as the winner of 12 of his 14 starts in his native Argentina, including twice in Group 2 company. Shane Foley rides the speedy charge for owner Yu Long, who won last year’s Al Bastakiya (Listed) with Yulong Warrior. It was only a non-Carnival course and distance handicap in which Nine Below Zero made a winning local and dirt debut for Fawzi Nass a fortnight ago, but the 4-year-old Showcasing gelding could hardly have been more impressive, striding clear under Adrie de Vries who is again in the saddle. The final horse in the race is Ibn Malik, who must not be overlooked, considering he may get first run on the frontrunners. Third last out on the turf behind top sprinter Faatinah, he was a photo-finish from defeating Drafted in the Garhoud Sprint and, in what is only his second try on the surface, has a pedigree that screams dirt. Fifteen have been declared for the UAE 1000 Guineas sponsored by DP World UAE Region, a race, not surprisingly, Saeed bin Suroor boasts a formidable record in and is seeking an 11th victory in. 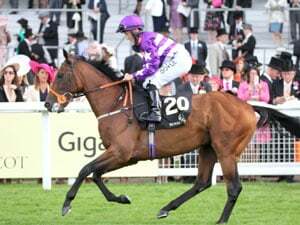 He saddles both Swift Rose and Dubai Beauty, fifth and last in the 1400m UAE 1000 Guineas Trial four weeks ago, but again Christophe Soumillon rides the latter, who was sent off a hot favourite for that trial. Fellow Godolphin handler, Charlie Appleby, yet to win the race, seeks to remedy that with local debutantes Lover’s Knot and the exciting Divine Image, winner of her only start, on the all-weather at Chelmsford, in December. Returning from suspension and competing at Meydan for the first time this year, William Buick rides the latter. Winner of the aforementioned Trial, Al Hayette, owned and trained by Ismail Mohammed, has been done no favours by the draw and will depart from the widest gate of all, 15, under Fabrice Veron. Prior to that 1400m victory, she won a 1600m maiden from, Razeena who will be having just her second career start for Watson, Dobbs and Sheikh Rashid bin Humaid Al Nuaimi. Both Al Hayette and Razeena are very highly regarded by their connections, but must also contend with the likes of well-intended Starry Eyes from the Simon Crisford yard, Emma Point for Marco Botti, Lady Parma for Satish Seemar and Silva for Pia Brandt. The meeting kicks off with the only Purebred Arabian race on the card, the 2200m Al Maktoum Challenge R2 (G1), which is sponsored by Mina Hamriya and has 12 set to face the starter, including the 2017 winner Faucon Du Loup, who has not won since. He is joined in the field by fellow Group 1 winners Ziyadd and Al Zahir in what appears a wide open renewal. On turf for the sophomores, the 1400m Meydan Classic Trial (Race 3) sponsored by Mina Rashid Marina features the turf debut of Golden Jaguar, who was ultra-impressive making a winning debut at Jebel Ali three weeks ago. 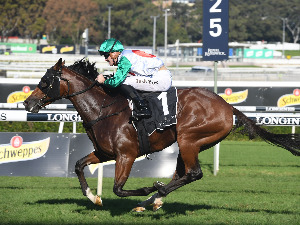 Trained by Ahmad bin Harmash for Phoenix Ladies Syndicate, he and Connor Beasley have been drawn widest of all in 15 and must take on the likes of Group 3 winner Sporting Chance for trainer Crisford, as well as Dubai Trophy runner-up Woven, from the yard of David Simcock. Godolphin’s 2018 UAE 2000 Guineas (G3) winner Gold Town tops an intriguing 1600m handicap, the $175,000 Mina Rashid on dirt (Race 5) in which he must again take on Crisford-trained African Ride, who finished immediately behind him (when fourth and fifth) in the Al Maktoum Challenge R1 (G2) last out. Fly at Dawn flaunts a super dirt pedigree for the same Appleby-Godolphin team as Gold Town, but is trying the surface for the first time since finishing fifth in the 2017 UAE Derby (G2) behind Thunder Snow, while Kenny McPeek-trained Honorable Treasure appears to be at a more suitable distance this time, following a solid runner-up effort last out behind I Kirk in handicap company two weeks prior. Class is in spades in the evening sixth race, the $175,000 Jafza Handicap over 2000m on turf. 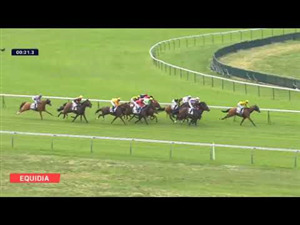 A virtual “who’s who” of horses looking to return to their best form are declared, including Grade 1 winner Deauville, 2018 Group 3 winners Light the Lights and Euginio, as well as well-intended types Astronomer, Key Victory and Zaman. The nightcap (10:00 p.m.), the $135,000 Hamdan bin Mohammed Cruise Terminal Handicap over 1600m on turf, features the only other race in which Ryan Moore is riding, but he has chosen his connections well, piloting Her Majesty The Queen’s Seniority from the rail post. Others of note in the race include improving Charlie Fellowes pupil Escalator and last-out-winning Mike de Kock trainee Baroot, while Hors de Combat looks to return to the form that saw him win a similar race last year.